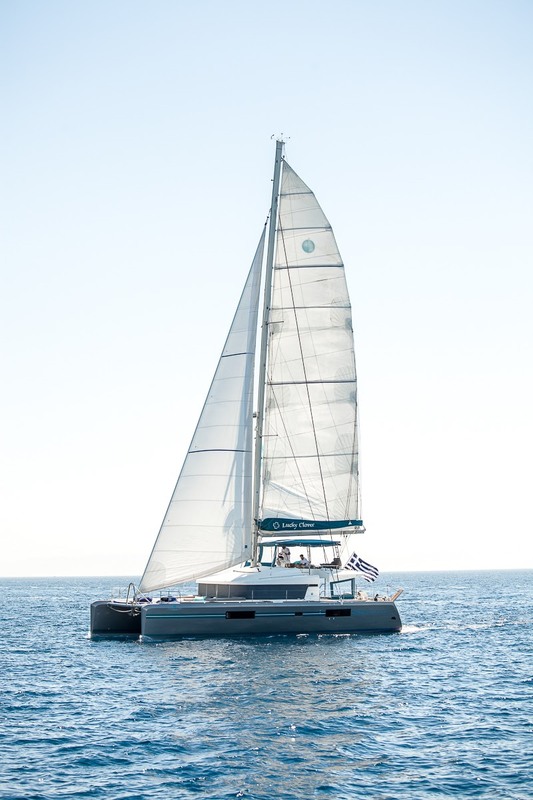 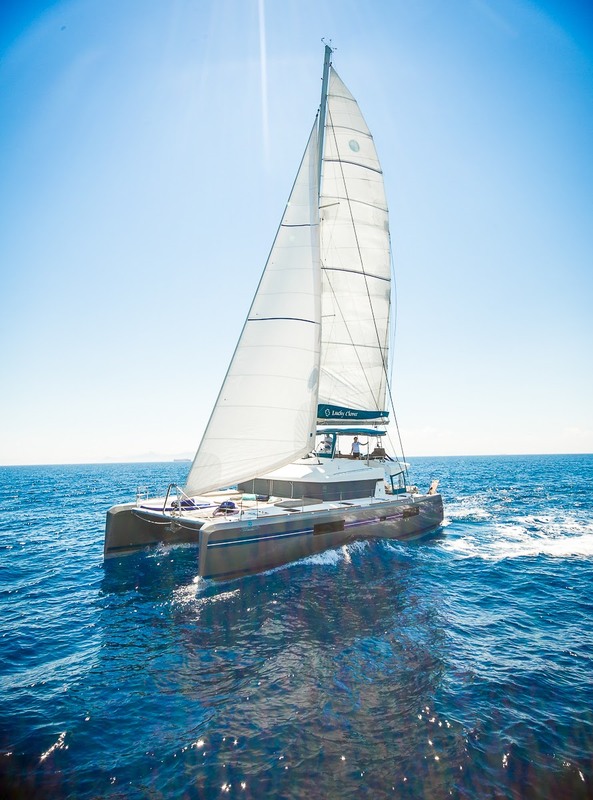 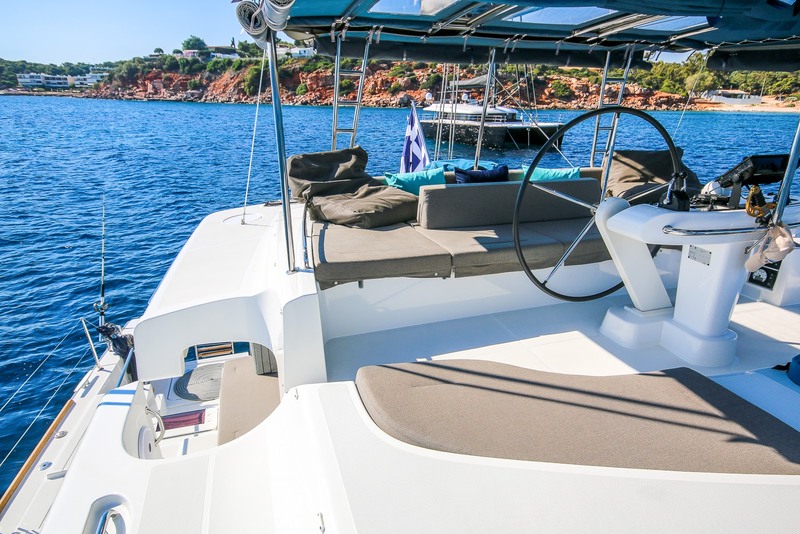 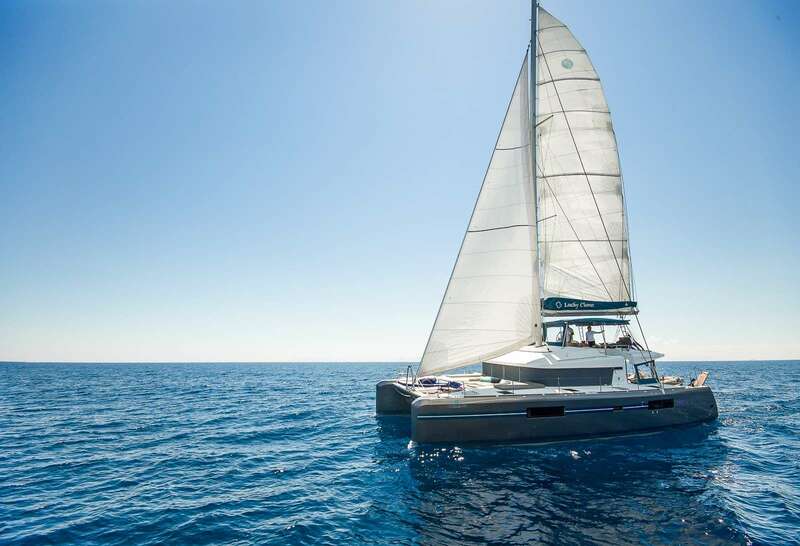 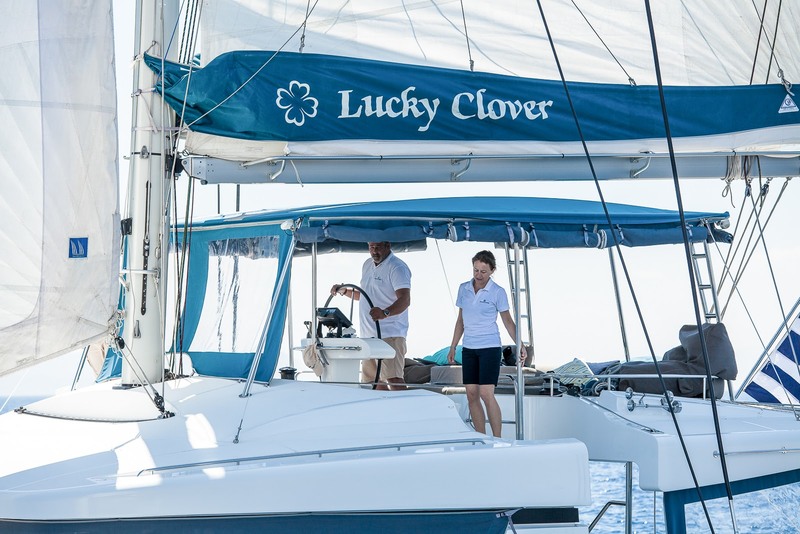 Sailing catamaran LUCKY CLOVER was launched in 2016 by the renowned French Lagoon shipyard, she measures 15,8m (52ft) and can accommodate up to 12 charter guests, in 6 cabins. 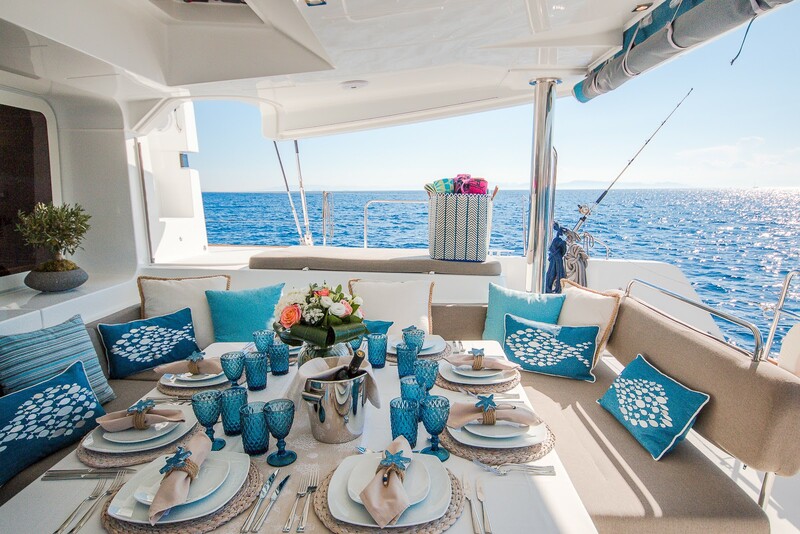 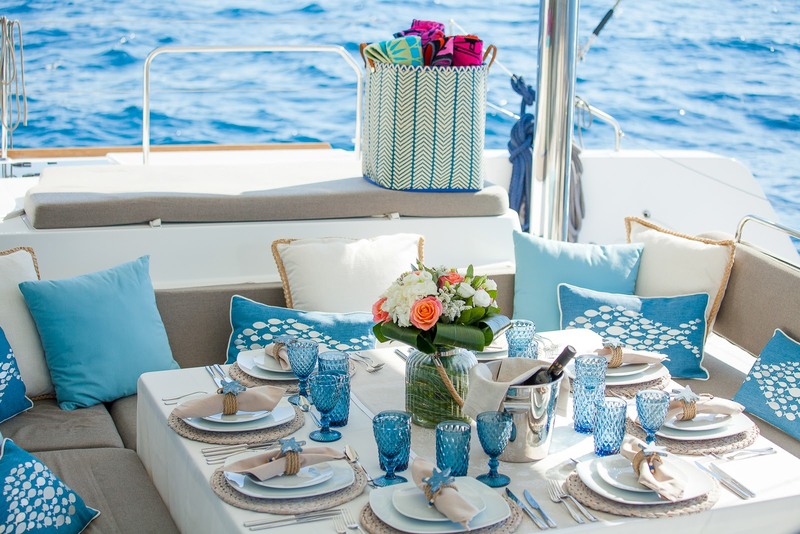 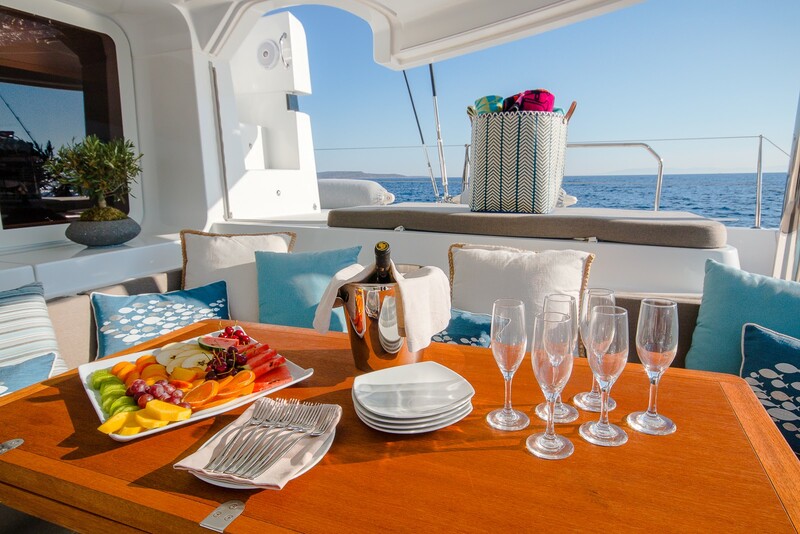 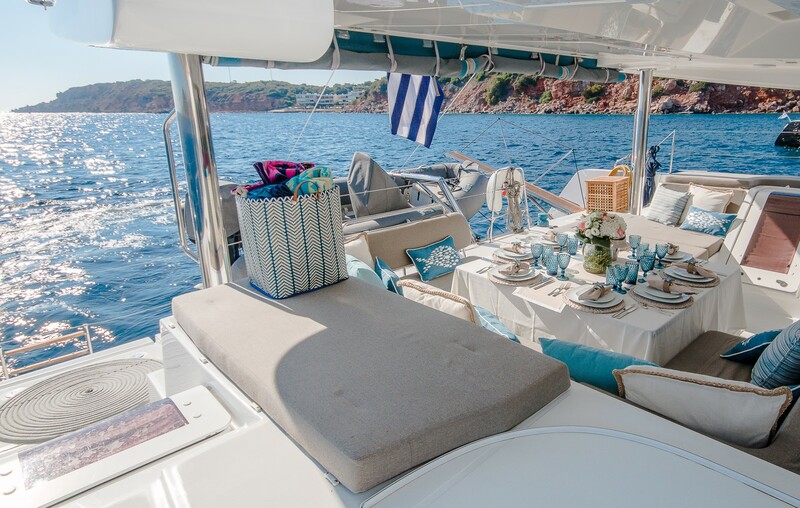 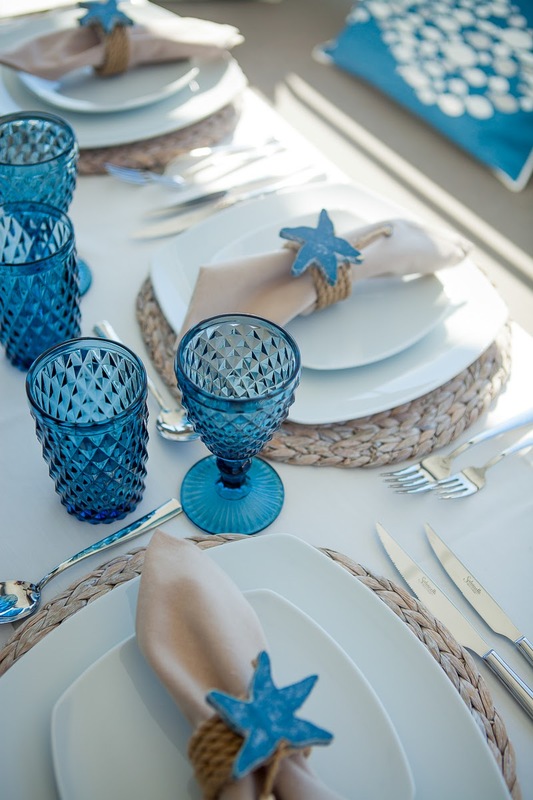 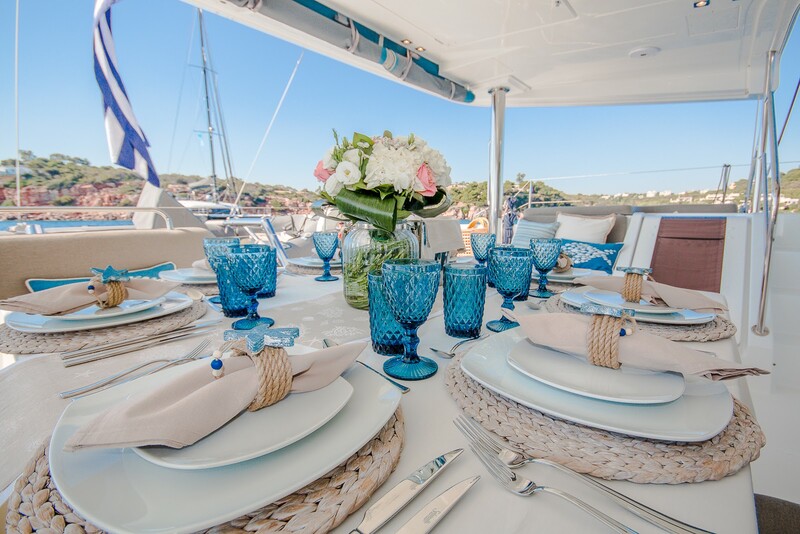 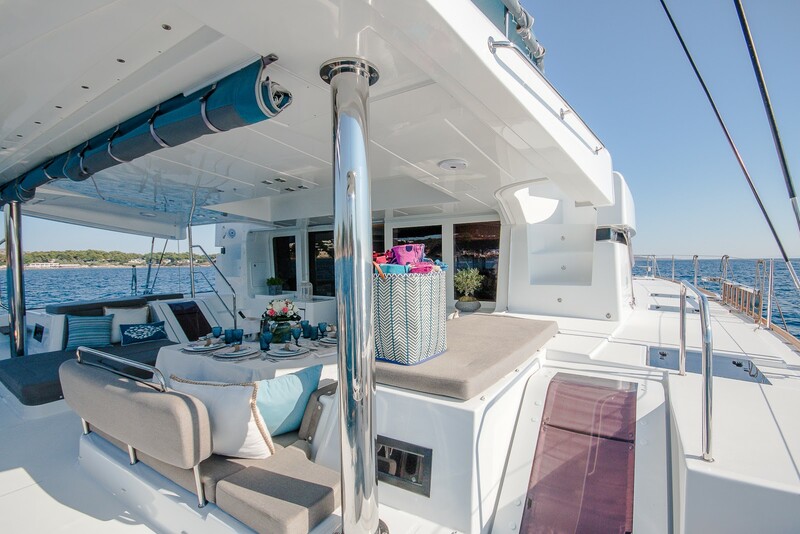 The main deck cockpit provides a shaded space for guests to rest and dine alfresco and to starboard, there is a C-shaped sofa and additional seating to surround the drinks table, which extends outwards to become the alfresco dining table. 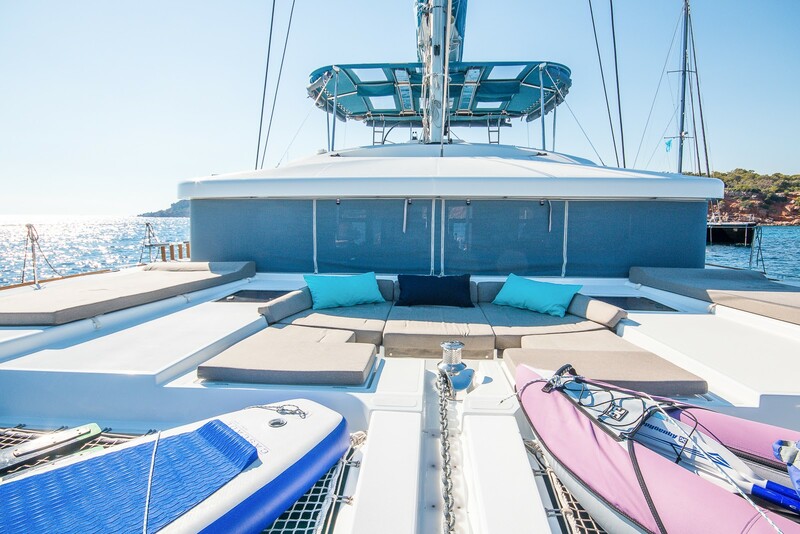 A sun pad is placed above the alfresco dining area with an additional double sunpad is placed opposite, and a canvas can be drawn down to offer protection in strong breezes. 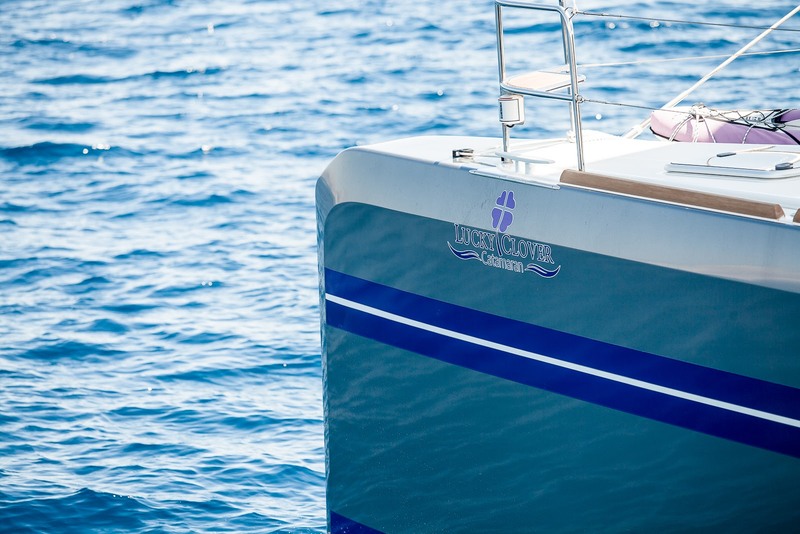 The tender is stored on the hydraulic swim platform for easy launch and retrieval and staircases lead down the hulls to the sea. 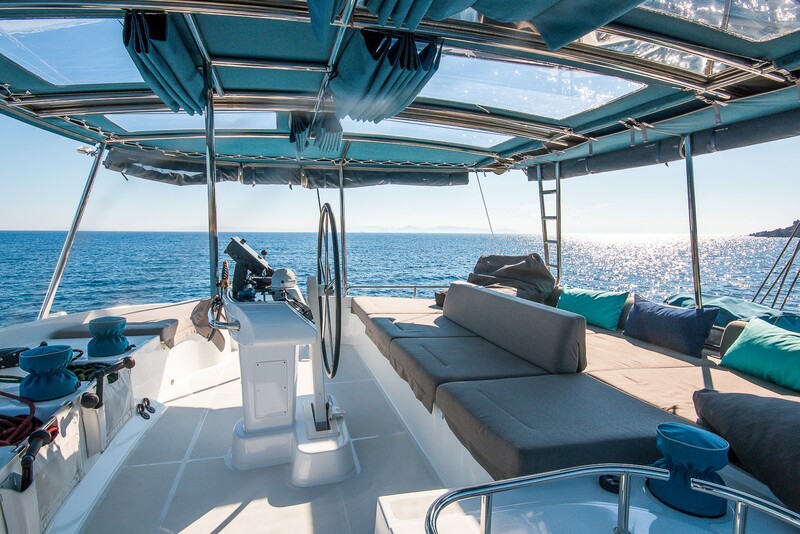 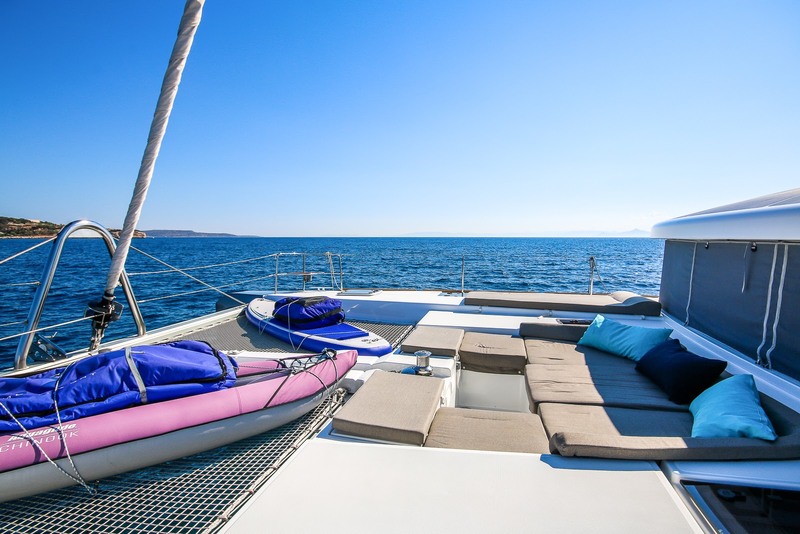 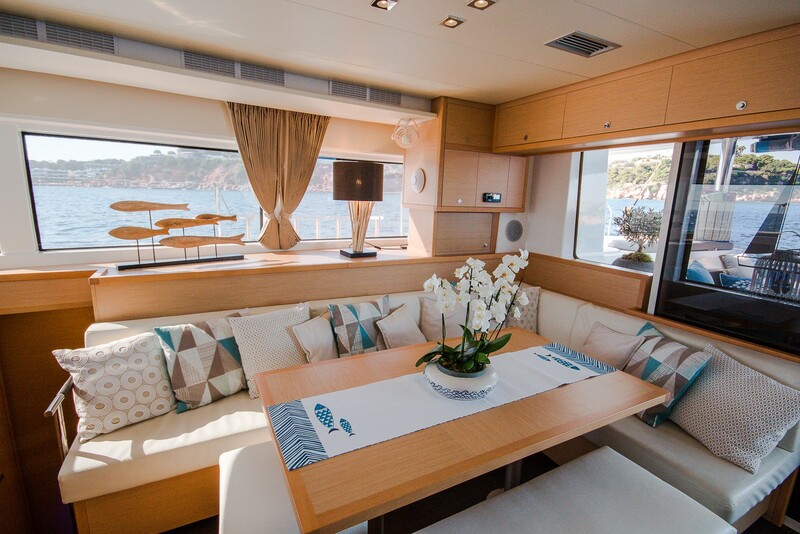 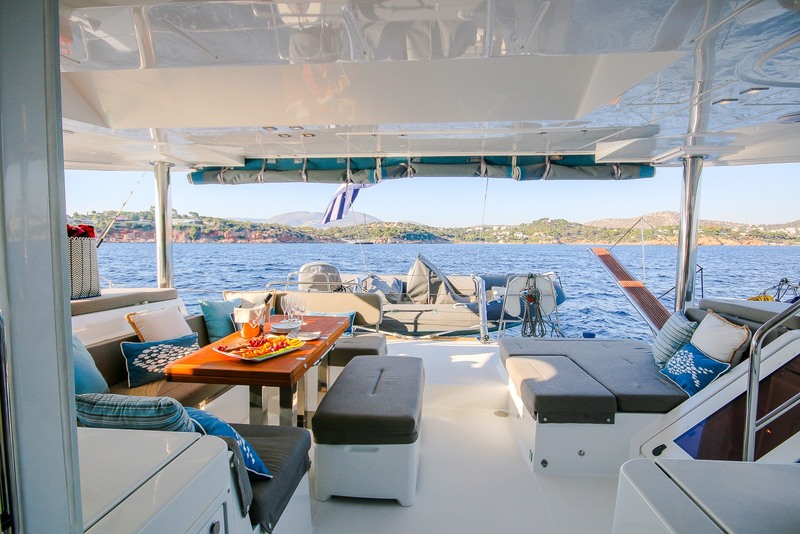 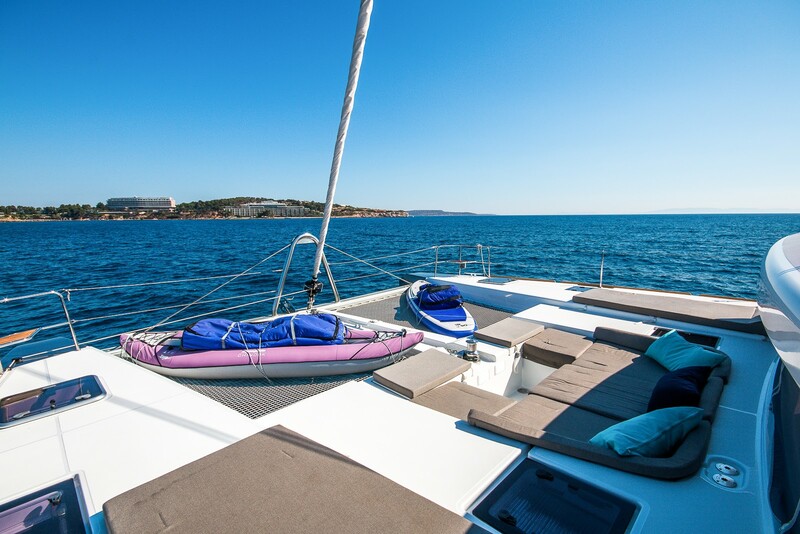 The foredeck is fitted with a spongy seating area and two trampolines provide an area to exercise, sunbathe and take in the views. 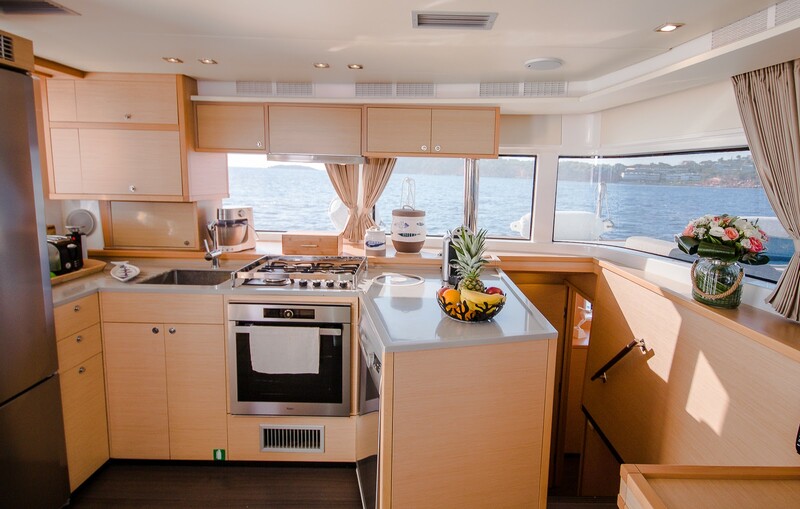 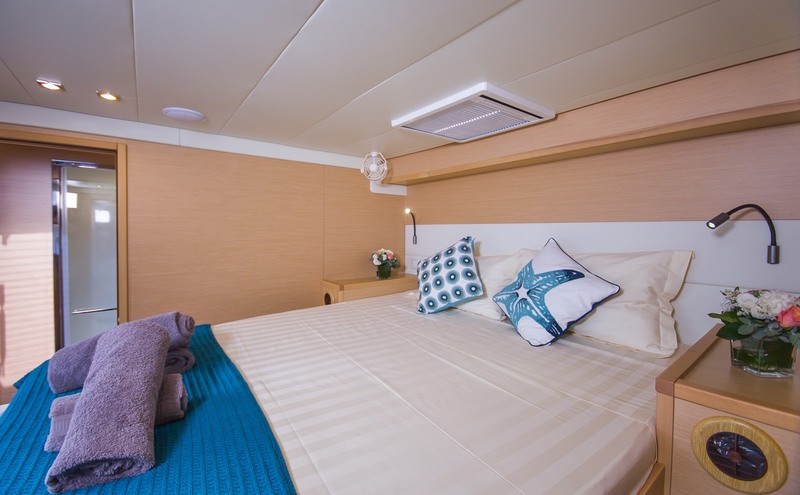 Up, on the flybridge behind the helm station, there is a large padded sofa/sunbed area that enjoys sunlight through the transparent panels in the bimini roof that can be individually covered for greater shade. 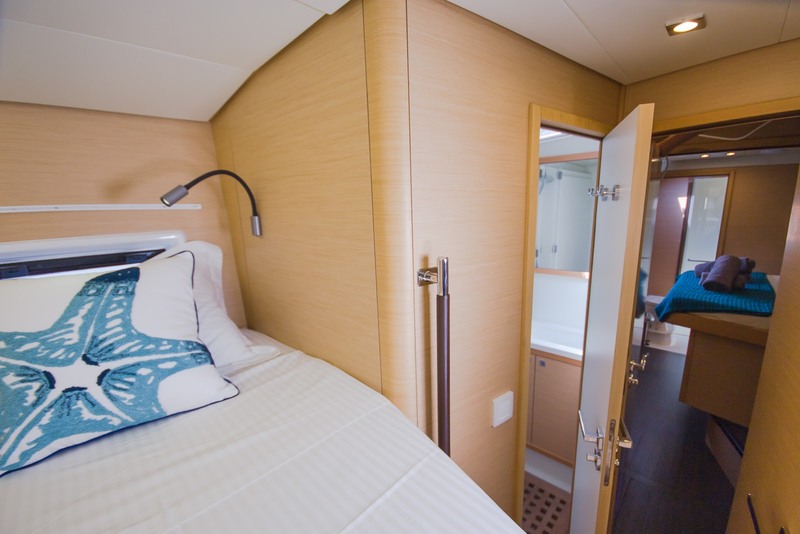 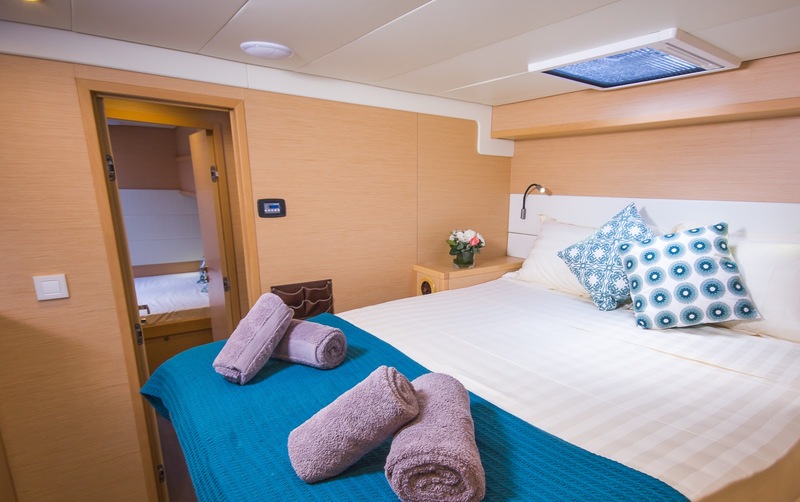 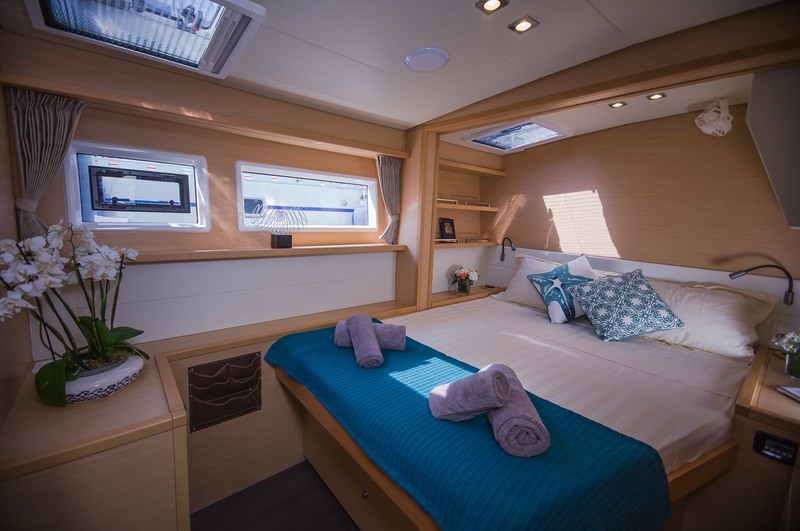 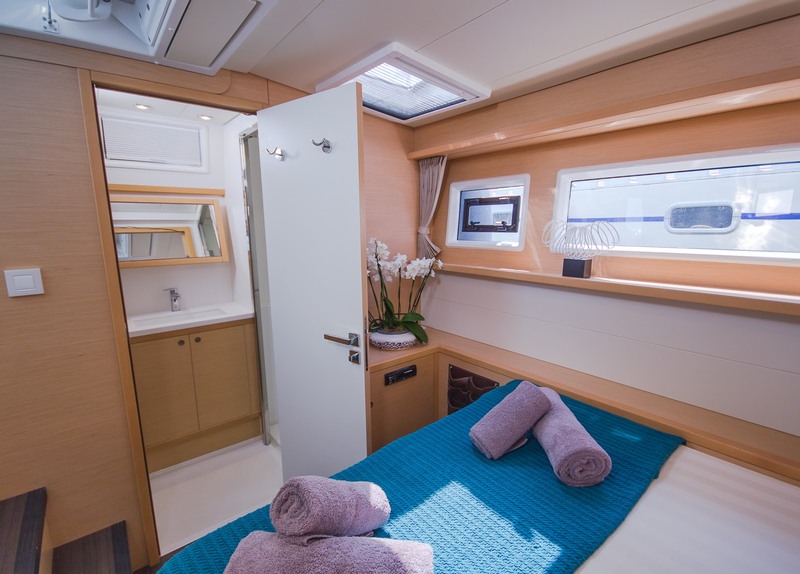 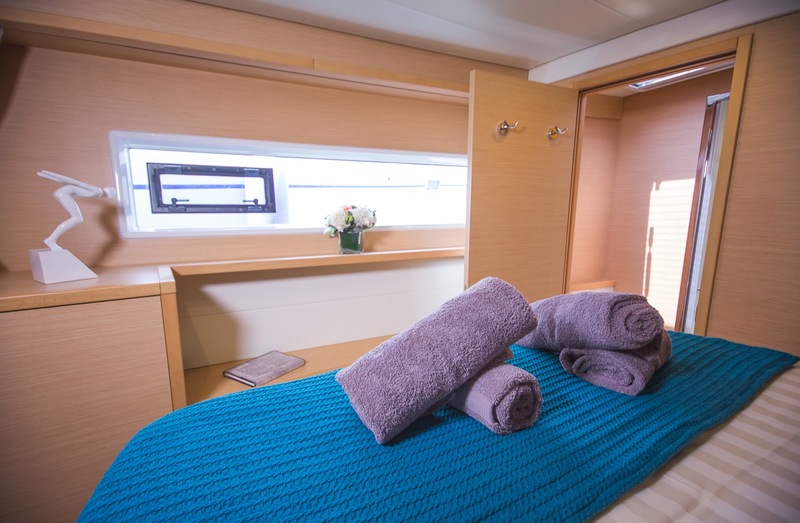 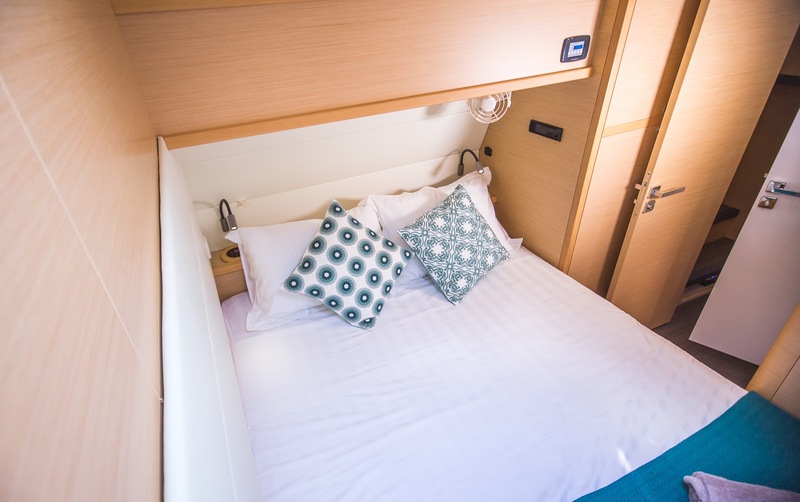 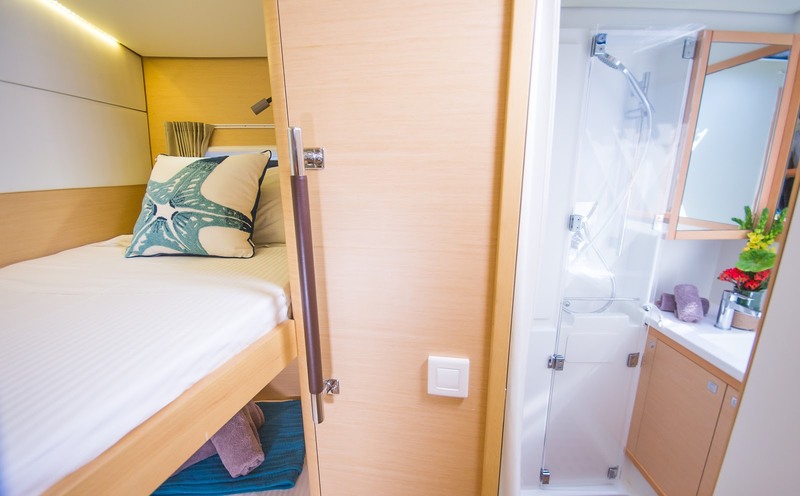 The port-side hull contains two double cabins and a central crew cabin, with the starboard-side hull offering three double cabins, all with en-suite facilities. 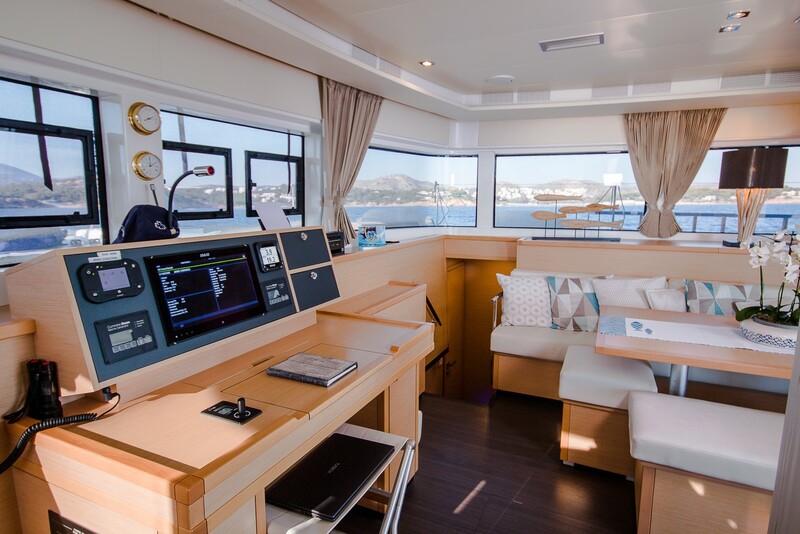 The central salon places the helm station forward, with the galley to port and the corner sofa and a raised table. 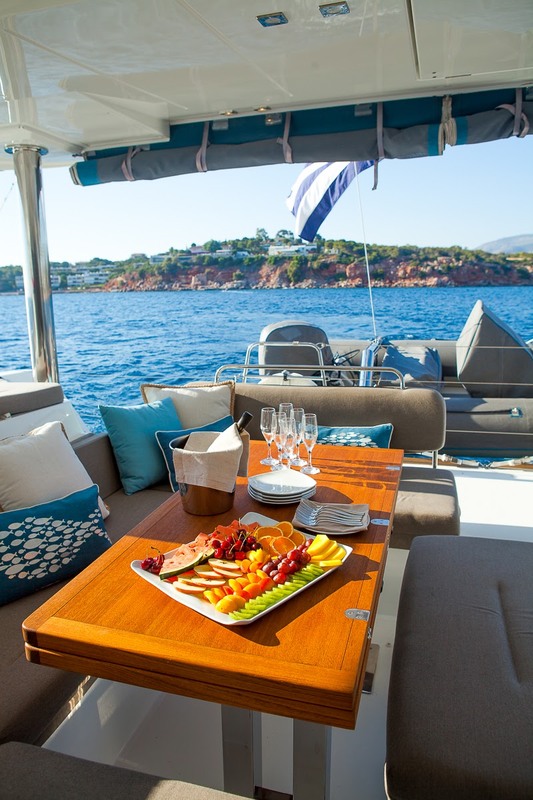 Twin Yanmar engines produce a top speed of 10 knots and a cruising speed of 9 knots with a range of 370 nautical miles. 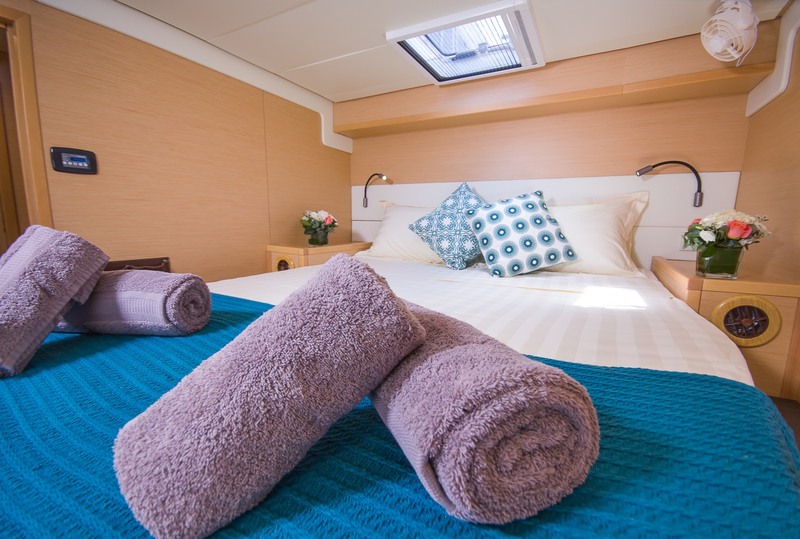 Five queen bed sized cabins offer accommodation with private bathrooms. 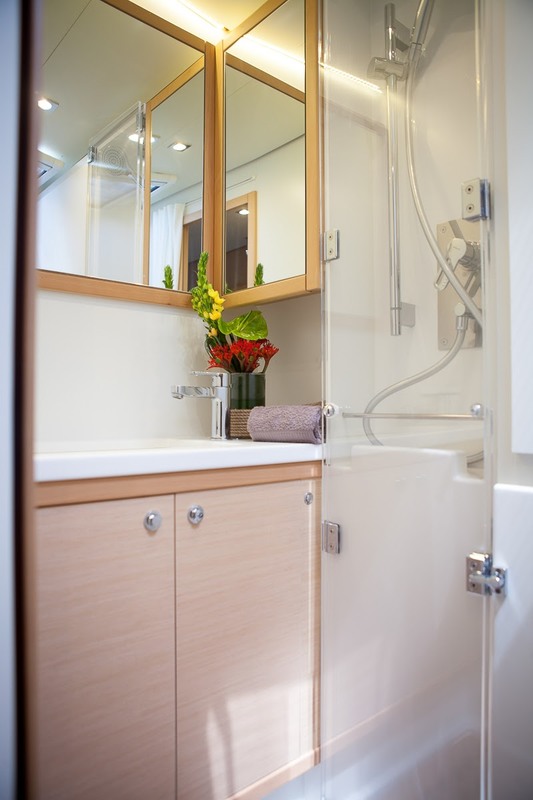 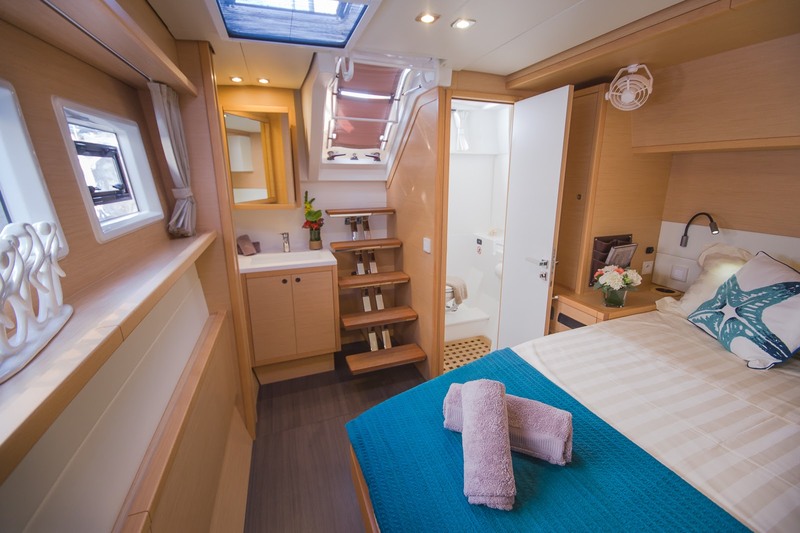 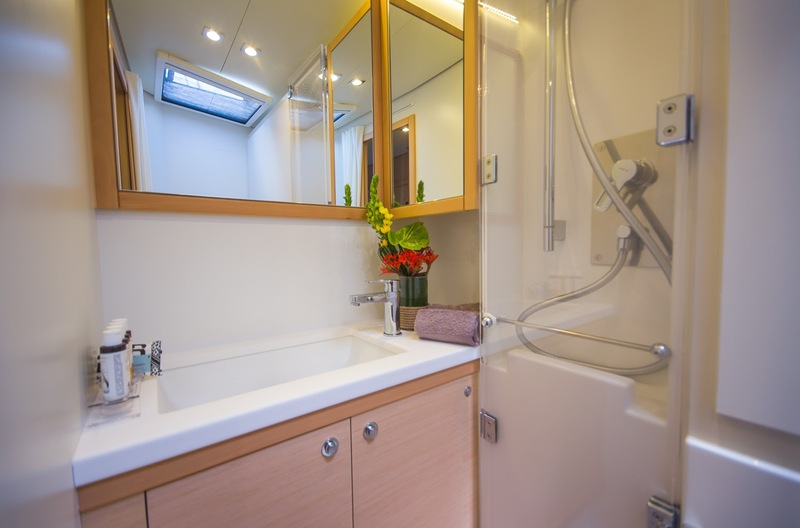 There is also one additional cabin with Pullman beds and a private bathroom. 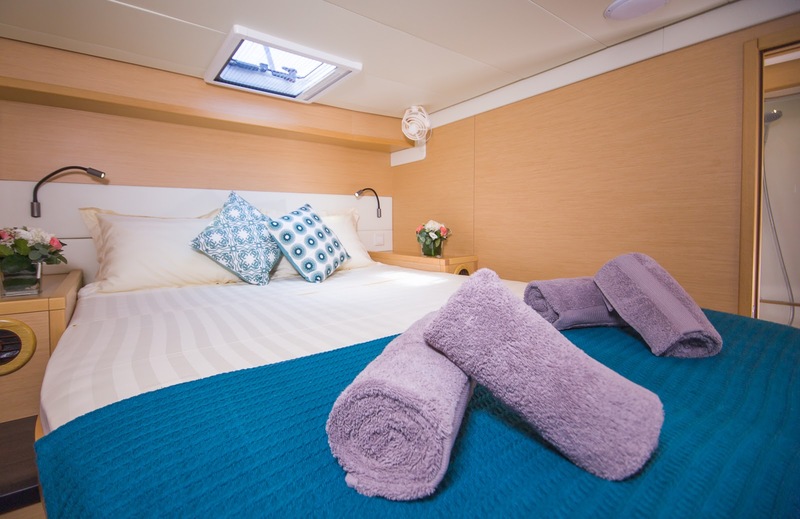 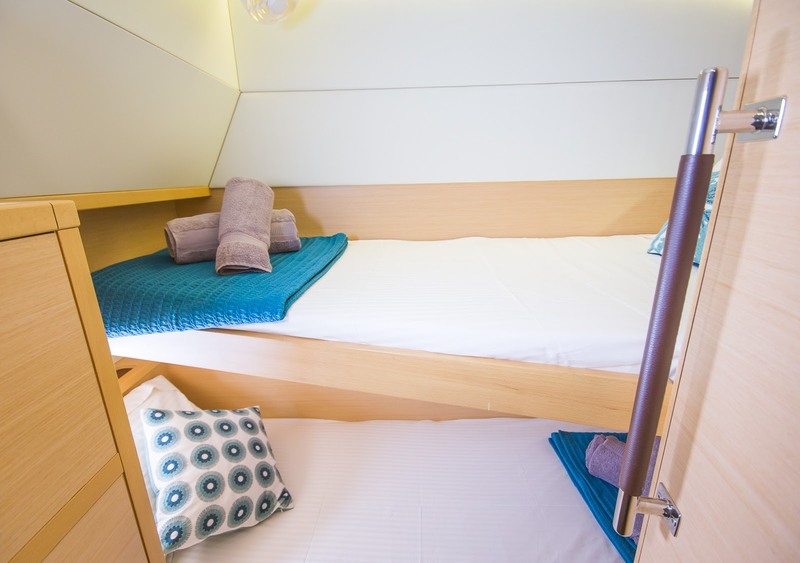 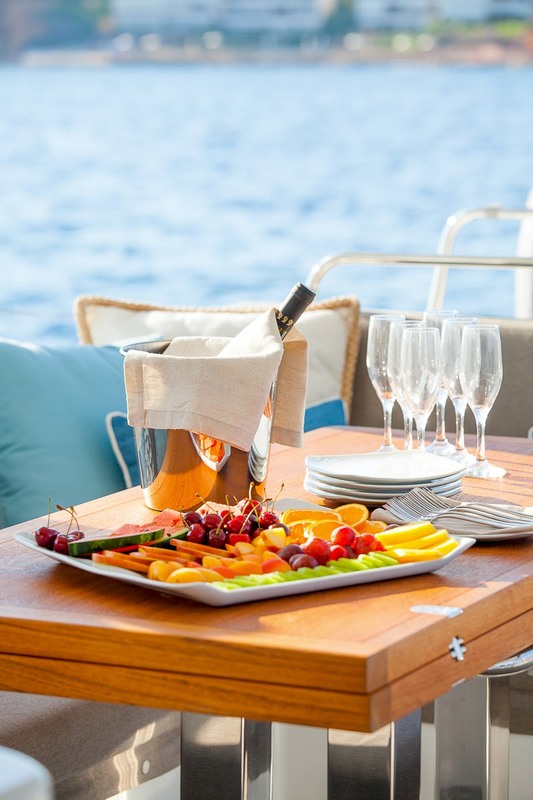 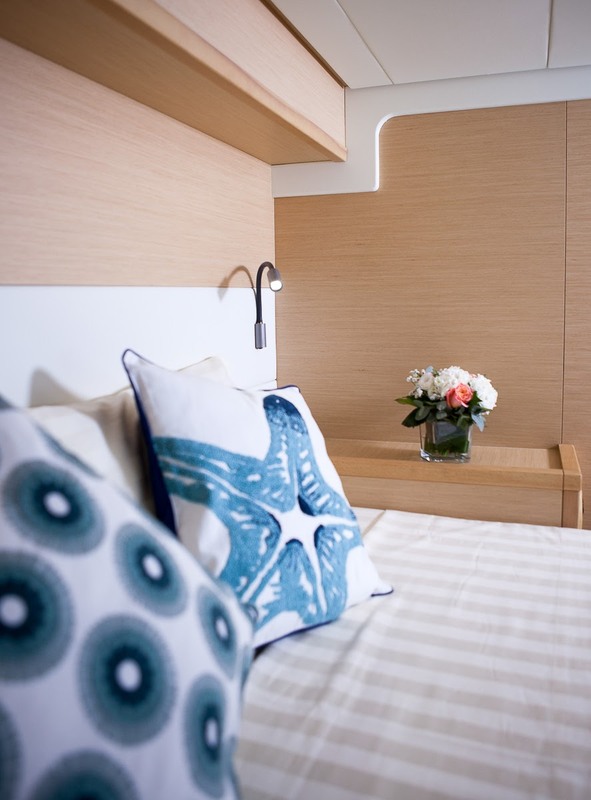 All cabins are air-conditioned and accommodate up to twelve charter guests.